Aiming to avoid a trade war, Trump is sending a quartet of trade hawks to Beijing on May 3 and 4 to meet with President Xi Jinping and other Chinese officials. His team includes US Trade Representative (USTR) Robert Lighthizer, White House trade advisor Peter Navarro, Treasury Secretary Steven Mnuchin, and National Economic Council head Larry Kudlow. They’ll meet with their Chinese counterparts. On Tuesday, Trump announced the trip, saying he hopes things will work out. A previous article asked if a US/China trade war loomed. USTR Robert Lighthizer accused China of US Trade Act of 1974 violations. He may begin a new investigation, focusing on China’s cloud computing sector. 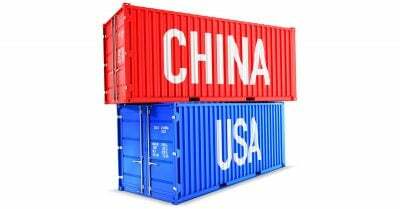 The US Treasury is working on measures to restrict Chinese investments in sensitive US economic sectors, along with possibly restricting related exports to the nation. Congressional legislation may expand US Committee on Foreign Investment authority to increase scrutiny of investments in America by certain countries, notably China. Following Trump’s announced $50 billion in tariffs on Chinese imports, threatening another $100 billion, US companies in China reported early fallout. They’re experiencing delays in license approvals, mergers and acquisitions, along with longer waits to clear customs. Resolving trade issues between both countries won’t be simple or short-term. Things could drag on for an extended time – very possibly leaving key disputes unresolved. They include national policies on public health and environmental laws, food-labelling practices, even religious standards regarded as impediments to trade. It calls Mexico’s hydrocarbon law a trade barrier because it requires foreign companies to use domestic courts to settle disputes – rather than unaccountable (corporate-run) international tribunals. EU privacy legislation is considered a trade barrier. So are health policies designed to improve maternal and infant care. Predominantly Muslim Malaysia was criticized for restricting alcohol imports. Numerous other trade barriers are listed, notably citing China. US steel and aluminum tariffs on Chinese imports took effect. So have Beijing tariffs on US pork, apples and wine. Both countries announced $50 billion worth of tariffs on each other’s imports. After Trump threatened another $100 billion, Beijing vowed to follow suit in response to further tariffs on its products. US/Chinese talks next week could be contentious. They aren’t likely to resolve deep-seated trade disputes. Beijing wants good economic and political relations with Washington. But it’s not about to yield to unreasonable demands. Both countries hope a trade war can be avoided. It may be hard to avoid one. In mid-April, Trump shamefully flip-flopped on the Trans-Pacific Partnership (TPP) he condemned during the 2016 presidential campaign. I made similar comments in numerous earlier articles on his deplorable domestic and geopolitical policies.